How does Jaguar InControl® work? New Jaguar owners or Edgewater drivers interested in getting behind the wheel of a Jaguar model will benefit greatly from understanding how Jaguar InControl® works. 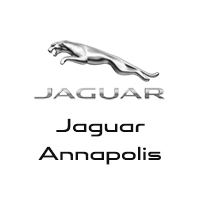 Learn more with Jaguar Annapolis! The Jaguar InControl® system works similarly to a tablet. That is to say that it is controlled by an Intel Multi-Core processor with a High Speed Ethernet network via the touchscreen. This setup allows Crofton drivers to access various functions in and out of the Jaguar model, such as accurate navigation, emergency connection, vehicle diagnostics, and safety. Create an account on the Jaguar InControl® website. Connect your account with your Jaguar vehicle, which can be completed from the car. Activate your account on the Jaguar InControl website and select your vehicle settings as you wish. Get in touch with Jaguar Annapolis for more information on the Jaguar InControl® system, as well as details on other important Jaguar topics, including Jaguar warranty coverage and Jaguar accessories. 0 comment(s) so far on How Does Jaguar InControl® Work?